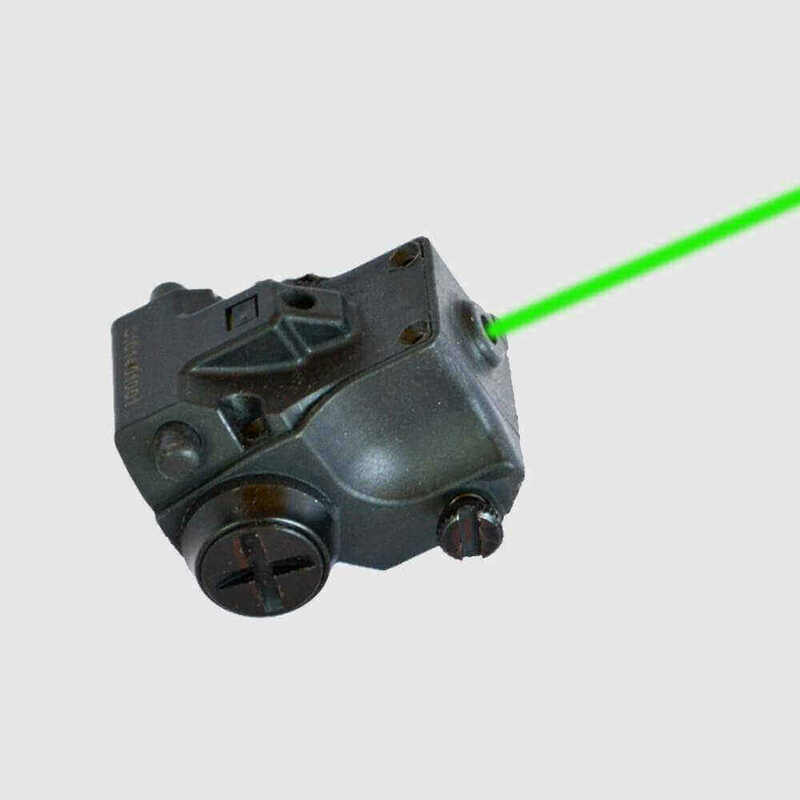 The CL-07G is one of the smallest green handgun lasers on the market, and is specifically designed to fit compact and subcompact handguns with picatinny rails. Green lasers are far brighter and more visible than red lasers, especially in outdoors in daylight. Our green laser is exceptionally bright (100 yards visibility in broad daylight). The last thing you need are a bunch of buttons to fumble with. Our laser is easy to operate – ambidextrous push-buttons on each side of the unit toggle the power on and off. Recoil-proof to calibers as high as .45, with a tough, light, fiber-reinforced polymer body. Mounts to Picatinny, Weaver rails or any other 20MM accessory rail. This flashlight/laser unit is specifically designed for subcompact handguns, such as the Springfield XDS and XD 3″ Compact, Ruger SR22 and SR9c, Beretta PX4 Storm Subcompact, Smith & Wesson M&P Compact, Walther PPQ, PPS, and P99 – and more! Please refer to the pictures for a guide on how to check the fit on your specific weapon. Performs as advertised - quality unit! Quality unit! Easy to install and align. Green laser is very bright and easy to see. The only caveat is the master shutoff switch is too tiny to operate with a finger and without visually observing what you are doing. It requires a toothpick size instrument to activate/deactivate it. That could be an obstacle for home defense which requires a timely response. I wish the manufacturer would estimate the battery life with the master left on so I wouldn't have to waste three batteries in my own test. But the well hidden button does prevent accidental operation, which is a plus. I have to give it a 4 star rating instead of a 5 star rating due to the master power switch issue. I was surprised that for the price, this little green laser is as bright as it is. Fully visible in daylight (at reasonable handgun distances). It is made well. Sight zeroing was a snap with the included allen wrench. There are two switches, a Master Switch and "ambidextrous" on/off buttons. The master switch is a bit difficult to engage. I've been practicing with it by feel every day to be able to turn the Master on in the dark. It takes some getting used to. I've been able to get to the point where I can turn the Master Switch on pretty reliably by feel, but with adrenalin pumping, it could be a bit more challenging. They say that the Master Switch is included to insure that battery life is extended by not having any drain on the batteries when the Master is off. I'm going to experiment and see how long the batteries (3 x 3v) last with the Master Switch left on. If it's not too short a time, I will probably leave it on and just plan on replacing the batteries every so often. Other than that, this little thing works great on my Springfield XDs (.45). Highly recommend buying it.